Can celery help you lose weight? What happens when you drink celery juice everyday? As you know, juicing is a great way to detoxify the body and dealing with tons of health benefits. If you are looking for a weight loss, celery juice is the best means to achieve your health goal. It works amazingly for detoxifying and weight loss. Why Is Celery Good For Weight Loss? Celery also is known as negative calorie vegetable as it contains very few calories. Celery helps to promote bowel movement and speed up the digestion process. It has over 90% of water content, so this is a natural diuretic. It performs great as a toxin cleanser. You can make your delicious drink fusion with celery whichever fruits and vegetable you like. 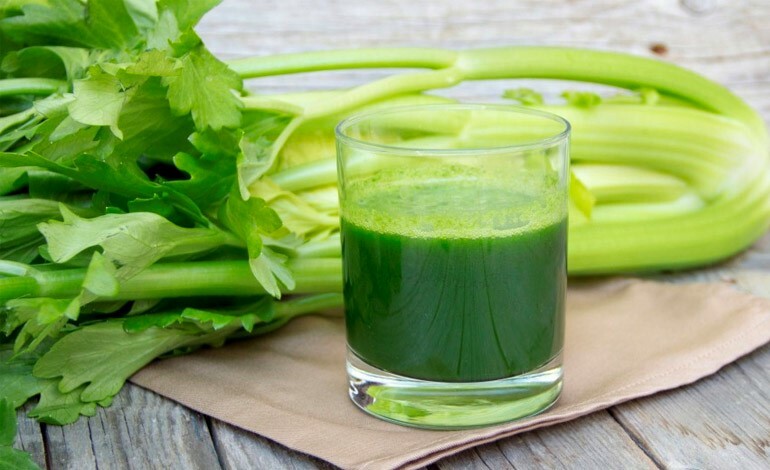 Following are some celery juice recipes that help you to lose your weight fast. Wash all the ingredients and cut the ends of carrot. Juice all the ingredients and enjoy your delicious drink! Wash all the fruits and vegetables and make it thoroughly cleaned. Take all the ingredients and put it into the juicer. Your healthy and tasty juice is ready to consume. Juice all the ingredients and pour into your glass and mix well. Following is the video that shows recipe of celery and cucumber juice for weight loss.